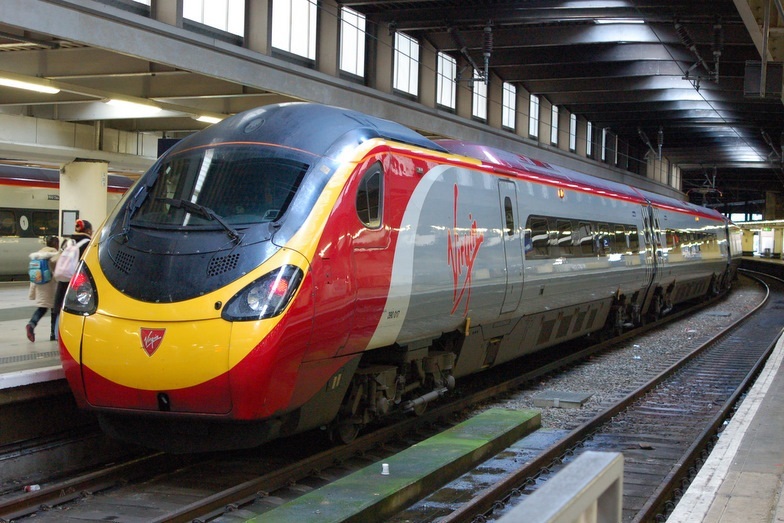 There have been many recent reports in the news recently about the controversy behind the Government’s decision to hand the West Coast Mainline franchise over to FirstGroup instead of extending Virgin’s current rights for another 15 years. Out of all the big news recently regarding the country, this is probably the biggest and possibly the most controversial. But what people are forgetting is that a train operator is not a train operator without trains. So I thought I would share my opinion on what First West Coast (or possibly Horizon Trains) trains might be like if they do get the WCML. Currently the only First service on the line at present is First TransPennine Express. So if we were to use that as a bench mark of this it is pretty clear what the service could be like. 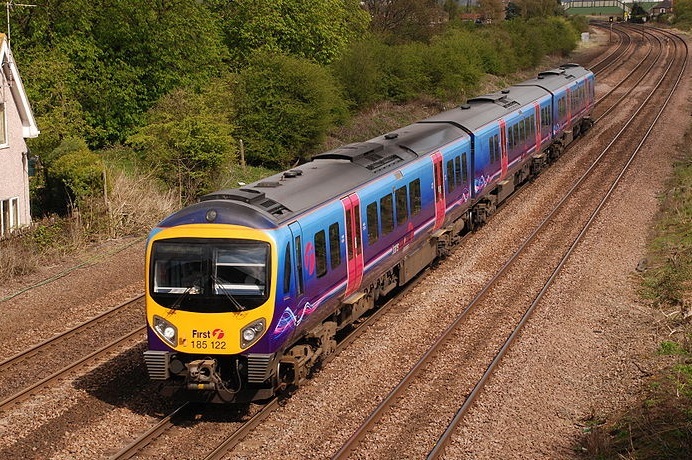 Transpennine’s dominant model is the British Rail Class 185 (Pennine Desiro). The train is more of a commuter vehicle to a HST (High Speed Train) set and as such is shorter than a Pendolino carriage by about 2 meters. Due to its purpose it can get away with its size but quite a lot of the time the trains are crowded. The trains carry fewer seats than the Pendolino but this could be due to the doors being around the center of the carriage. The Desiro train set as a whole is 3 carriages long and has a top speed of 100 mph. The train will be so long it will probably not fit on the station platform so people will have to get on the train and walk to their seat on a carriage that cannot be accessed, it will be much the same for getting off. The train’s power source of diesel will cost so much it may not be economical enough to make a decent return on investment. British Rail Class 220 Voyager – Used by Virgin and Cross Country – Top Speed: 125 mph – Seat Capacity: 174 (20 more than the Desiro) – 4 cars per trainset. British Rail Class 221 Super Voyager – Used by Virgin and Cross Country – Top Speed: 125 mph – Seat Capacity: 162 to 224 – 4 to 5 cars per trainset. British Rail Class 222 Meridian – Used by East Midlands Trains – Top Speed: 125 mph – Seat Capacity: 192 – 236 – 4 to 7 cars per trainset. British Rail Class 180 Adelante – Used by First Great Western, First Hull Trains and Grand Central – Top Speed: 125 mph – Seat Capacity: 287 Seats – 5 cars per trainset. There is of course the possibility of using British Rail Class 43 HST Engine which is used for the Legendary Intercity 125 (Top Speed: 148 mph). The Class 43 is used by many companies today including East Midlands Trains and Grand Central and is used mainly as a High Speed Train rather than a commuter train. In the case of First if they were to use diesel instead of electricity, it would be an ideal choice (but the Intercity 125 is starting to age and has been for a while). However the 43 cannot reach its top speed due to the speed limit of the WCML being 125 mph. However it is more likely to reach this speed quicker than the above mentioned due to that being the top speed of those trains. If Virgin is to keep the line it is more than likely that they will continue to use the Pendolinos. Virgin spent at least 1 billion pounds on the Pendolinos and so it would seem likely that they will keep using them for a while. 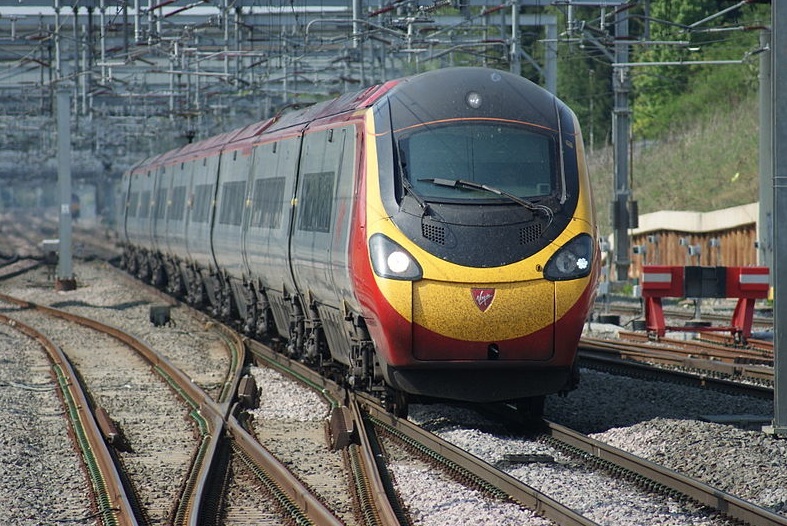 The Pendolino while being slower than the Class 43 has the added advantage of being able to tilt which means that it does not have to cut its speed when going round a corner so when it reaches its top speed it can stay at that speed until it has to slow down for stations. Without Virgin and the entrepreneurial mind of Richard Branson the Pendolinos would probably not be in the country, thankfully they are. There is no real current challenge to the Pendolino. The only one announced so far is the Polaris Train which Grand Central hope to acquire (which also has Tilting capability) but there has still be no news of whether these trains will be coming to the uk or not (it really depends on whether Grand Central’s “track-access contract is extended beyond the initial five years” – Wikipedia). It is interesting to point out that First have not said anything about taking over the Pendolinos from Virgin. This could be one of the big controversies. It is a good point to think about because First bid at least 5 billion for the line (1 billion more than Virgin) then surely they have enough money to simply have them transferred over to them. The Pendolino makes the more sense seeing as that is the current system and it would be easier to change hands. Also it means that the 2 Hours 30 Minutes it takes from Lancaster to London Euston can stay at that time rather than revert (which with any other train is a possible certainty) to the previous 3 hours. In order to keep that time the line would have to have an increase in speed. Also to make the money that First are suggesting the speed will have to stay that way for more journeys and more money. Also the Pendolinos have 9 cars per trainset making them longer than most rail services in the UK. 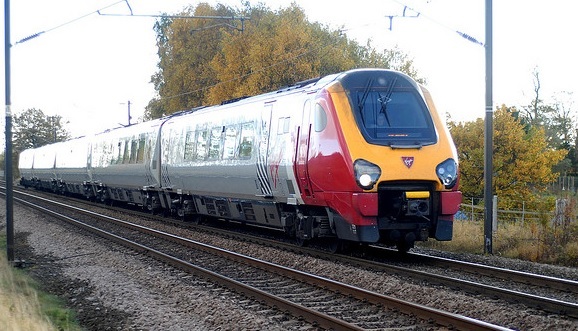 In terms of Electrified trains that could run on the WCML instead of Pendolino’s, there is the option of using Intercity 225’s which are hauled by Class 91 Trains. Compared to the diesel-powered Class 43, the 225’s run at 140 mph which is still slower than the Class 43 but with the electrified line and top speed of 125 mph, the 225 Class 91 could be a cheaper alternative to the Pendolino if First decide to go for an electrified train. However the 225 does not have a tilting mechanism meaning it could be slower than the Pendolino overall. With the possibility of FirstGroup taking over the WCML, it is a worrying time. With no current announcement on rolling stock from FirstGroup it is worrying to think about how the service may change (if at all) and also how fast and comfortable it will be to go from place to place. But we should remember that First Trains are a reliable service and so whatever the decision is regarding the franchise rights and what rolling stock they may use, I am sure (in some way but not entirely) that they will make the right decision or at least a Good Proper one. There is always the hope that they will take over the Pendolinos from Virgin but there are some other options for them to take in case they decide not to. So while we all hope that Virgin keeps the line there should not be too much distress caused if FirstGroup do take the line.